How to get a quick or instant loan online has recently become the trend and many have been trying without success while some managed to secure small short term loan between N5,000 to N50,000. The question then remains, how can we qualify to get quick loan or quick cash online fast without any stress. Recently, more companies and platforms have been created to help Nigeria with instant online loans and when I said online it means you can just use your smartphone or computer to secure small term loan within a few clicks. though, you can as well be able to secure a loan even without a smartphone or any internet connected device. You just need to dial some shortcode and you have the fund directly to your account. I have shared some info on how to get a quick loan online here and here, I also shared a similar that explained the necessary requirement when securing a personal loan. Now, let me share some light and help you with most of the frequently asked questions on how to secure an instant loan in Nigeria. It doesn't matter where you are or what you do, you can get a loan right now using your phone tablet or computer. Let me tell you, getting a loan that can help you solve some problems that need urgent attention doesn't mean that you are poor or failure, even some rich men and women depends on bank loans to run their businesses and yet they are riding exotic cars and living large. Right now you might have one of these questions below. How to get an instant online loan in Nigeria? How to qualify for an instant online loan in Nigeria? How to get loans in Nigeria without collateral? What is the interest rate for quick loans? What will happen if I don't pay back the loan? The good news is that I have some answers for you and to start with, I have published some related post that might help answer your questions straight ahead. Below is the post that can help answer some of your questions. The info I am going to share with you on how to secure an instant loan is likely to be accurate because I have tried them before writing about it and not because I heard and read the newspapers. Presently I have seen some new platform that recently surfaced which am still trying to find out how it works before writing about them. Moreover, I am not a businessman and I have never been to any bank to request for a loan and will not give you info on how to get a loan from the bank. This post is purely for a quick or instant loan as you may call it, I mean those loans you can secure anywhere, anytime from your phone, or computer. Those loans you can get without any paperwork or collateral, you can even use a mobile app, or by simply dialing a shortcode, etc. In as much as it's easy to secure an instant loan in Nigeria, there is a possibility that your loan request can be rejected or declined but since we have different platforms that offer quick loan you may have some other option to try another platform that might accept your request. However, to stand a good chance you must have an operational bank account from a recognized commercial bank in Nigeria linked to your BVN. Filling online loan request form most times means that you will provide some details such as your BVN, bank name, and number and you might grant them access to your account. Doing that will help them ascertain your inflow and outflow that will help them know your capabilities to be sure you have what it takes to pay back the loan as agreed. This clearly means that if you don't operate account that a reasonable amount of money comes in and goes out then you might not be able to secure a loan though, that doesn't disqualify you totally but the amount of loan you can secure will be limited to N5,000 to N20,000 mostly. It's now a matter of few touches on your phone or clicks on your laptop to secure a loan in Nigeria, you don't need to visit any bank to get a loan especially when you need a small short term loan. You can be on your bedroom or living room to secure a loan directly to your bank account. Once you have an active bank account you are good to go and the good news is that there are many platforms to choose from but the interest rate is mostly the same. Some years back, to secure a loan without collateral or guarantor is almost impossible but the introduction of BVN changed the game altogether. If I start to count some new platforms that give out loans without collateral then I will have more than 10 of them but this link will help you with the list 5 Nigerian websites that offer Loan without collateral. 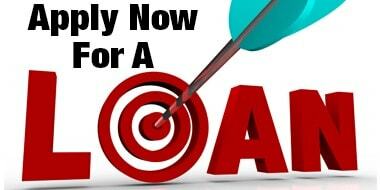 If you are not sure where to get an instant loan then the link will still help. The first thing that comes to your mind when you decide to source a loan is the interest rate but based on my experience the interested rate is mostly determined by the loan duration. The interest rate someone that seek for N200,000 to pay back in 3 months will not be the same with someone who took a loan of the same amount to pay back in 6 months or one year. The interest rate can be as low as 15% and as high as 35% of the total amount but a platform like Kwikmoney only gives small short term loan that only lasts for two weeks (14 DAYS) duration with 15% interest rate. However, I have not been able to see any platform that offers below 15% interest rate whether long or for short term loans. This question might sound funny but trust me some Nigerians will still be trying to cheat the system with their criminal mind. I could remember when I tried a new platform that uses social media presence and popularity to determine the eligibility of loan request and I was disqualified because one of my facebook friend that I don't even know personally is owning them for the loan he collected from the platform. I was instructed to ask him to go and repay his loan back before I can be able to secure a loan. If you want to know what will happen when you don't pay then it will be a bad record for you and prevent you from getting a loan from the platform ever again and if you push them they will use any means necessary to recover their money even if it means arresting you. I have been active and monitoring everything about quick loan in Nigeria and sometimes I had to request for a small amount of loan just to find out how different platform works. For that reason, I am in a good position to help you with any other questions you might have regarding instant loans in Nigeria. However, never request for a loan when you don't have any means of paying back and don't request for an unnecessary loan just because it's easy to get because it might be hard when paying back.